People ask about our reproducible EA: tip sheets which are editable for EAPs and restrictions on use. Here is information to help you. I am posting this for clarification in event you have any questions. All EAP workplace wellness tip sheets distributed by DFA Publishing and Consulting, LLC are originally authored. Free tip sheets we distribute online may be redistributed without limitation to anyone. The purchased tips sheets have limitations as discussed below. Any tip sheet, free or purchased, may be edited or amended as desired, however the copyright notice must remain. You may place your program’s name on tip sheets (free or otherwise), along with your phone number or your logo in promoting your services or program. A live link to our Web site is appreciated because it helps search engines find us and makes the Web site more popular with searches...thanks! 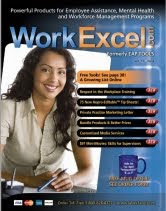 Purchased tips sheets at WorkExcel.com or are for the purchaser’s internal use for distribution to employees and/or family members, or for internal or external employee assistance program providers unaffiliated with insurance or managed care organizations, with multiple work organizations that are contracted customers. Do not redistribute the editable format. Instead, create a PDF and use it. Using tip sheets means you accept the following statement: Information in tip sheets is provided with the understanding that the author and the publisher are not engaged in rendering legal or other professional services, especially with regard to a specific person, problem, health, or wellness concern, circumstance, or topic. Information is for general informational purposes. 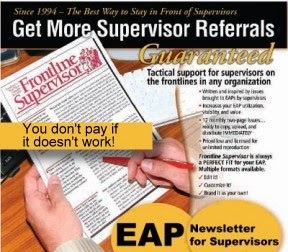 Tip sheet information is not a substitute for competent legal, EAP, or other professional advice. You should approve content of tip sheets before distribution to employees, customers, or other persons. 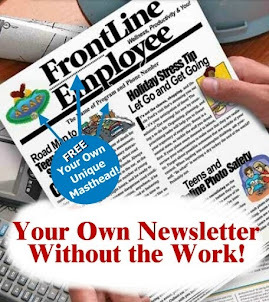 If you are an EAP or other wellness professional, feel free to add you own input. This is why I created them--so you could advance your program with ready-made materials, but still include your expertise. Purchased tip sheets may be posted on protected page of a customer’s Web site, but you may not post on the World Wide Web and make the content accessible to anyone in world who may stumble upon it. Free tip sheets do not have this restriction. Please use a embedded link to WorkExcel.com, if possible, as mentioned above. You can find all the topic listed here.